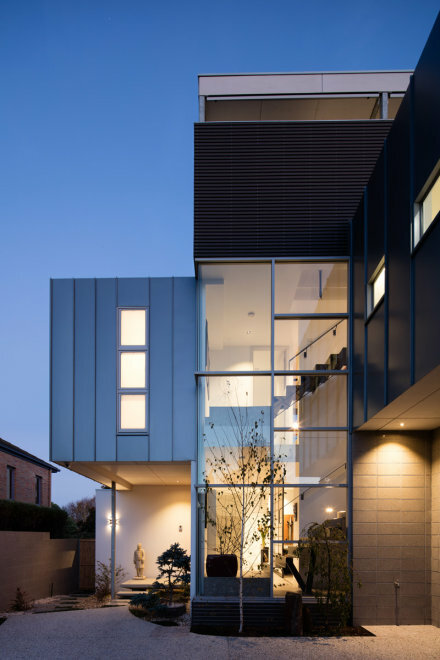 Marklews ‘Mornington Residence’ has won the 2016 HIA Eastern Victoria Regional Housing Custom Built Home Award in the category $700,000 – $1 Million. It further won Best Bathroom, Best New Kitchen and 2016 HIA Eastern Victoria Regional Kitchen of the Year. Rising dramatically from its suburban surroundings, this home inspires, surprises and delights with its creative design, amazing use of space and textural finishes. 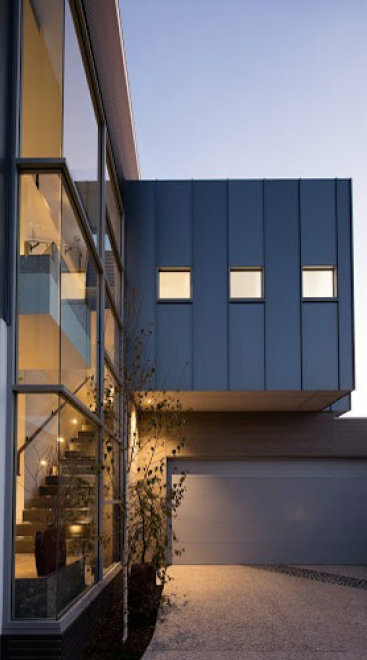 It is a well-proportioned home which pushes architectural boundaries in a bold but gentle manner. Constructed on a site area of just 320 sq.m, the residence embraces the complexities of boundary setbacks and building height controls, culminating in the construction of a visually impressive and contemporary home. It responds uncompromisingly to passive solar design principles. There are 3 generous bedrooms, north facing living areas, vaulted ceilings, plenty of outdoor living, stunning and functional kitchen and bathroom areas, state of the art technologies and extensive garage space. 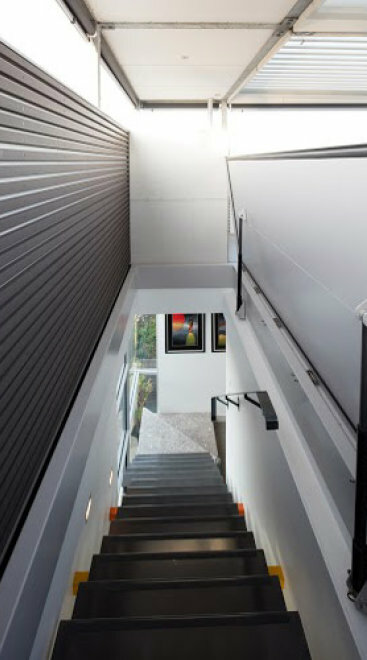 Two precision folded metal floating staircases are a stand-out feature of the home. 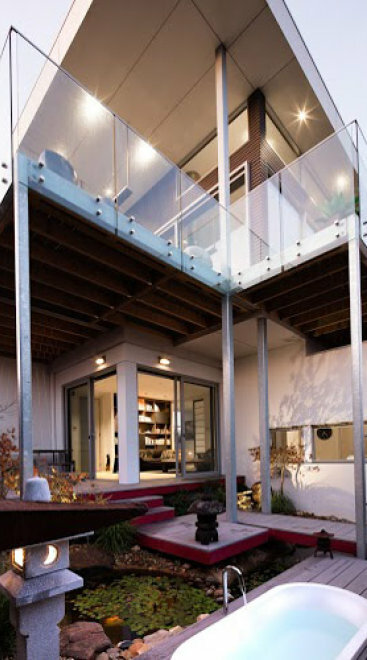 By accessing a hydraulic lifting roof section, one leads to a roof-top deck. A 270 degree panoramic bay view is revealed, at the same time ensuring there is no overlooking into neighbouring properties. 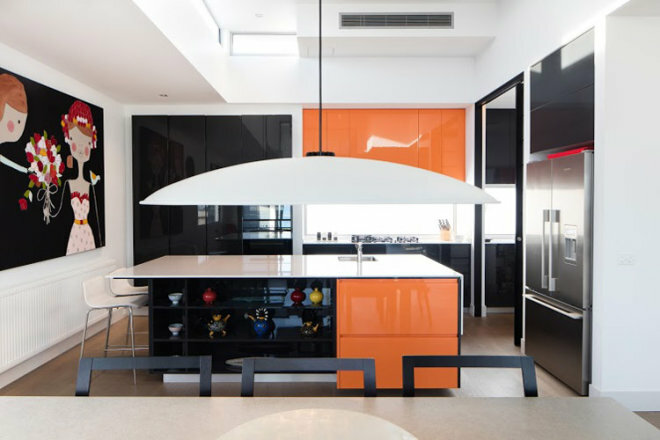 HIA Housing and Kitchen & Bathroom Awards represent the pinnacle of achievement in Australia’s residential building industry. 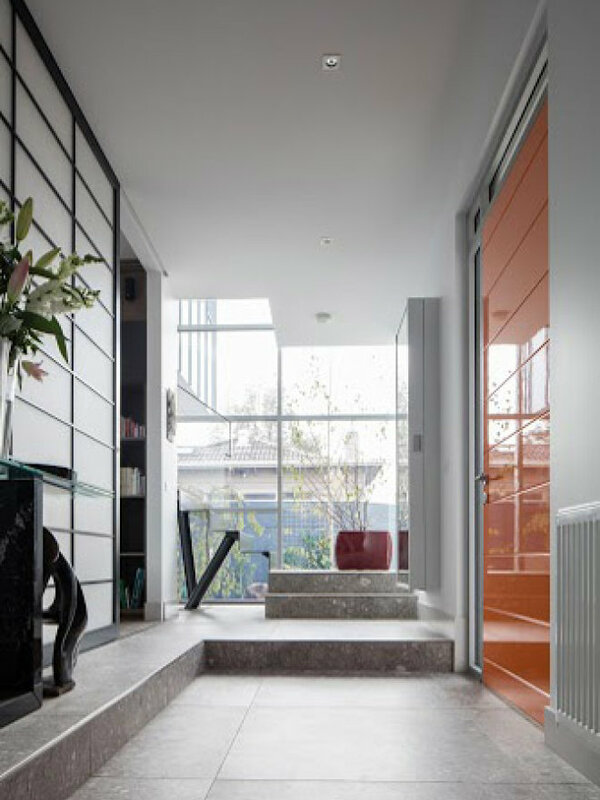 The Awards acknowledge the talent of designers, builders and building companies who plan and construct quality new housing, apartments, renovations and outdoor projects. The HIA Victorian judging panel is comprised of 35 independent individuals who have a range of experience and expertise within the Victorian residential construction industry.